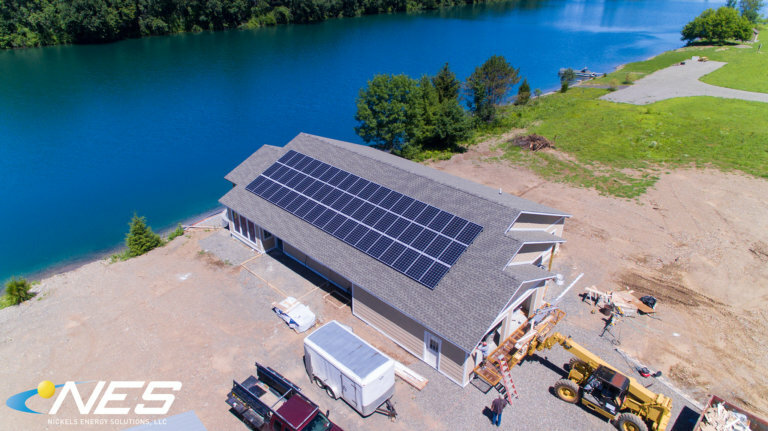 Nickels Energy Solutions has quickly learned that new construction projects and solar installations are a perfect match. 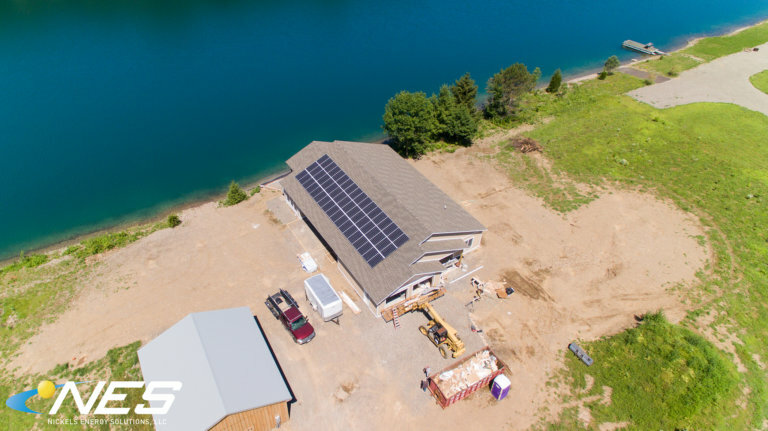 When a new construction project is being planned with solar in mind, we can work directly with the architect, builder or electrician to find the best solutions possible. 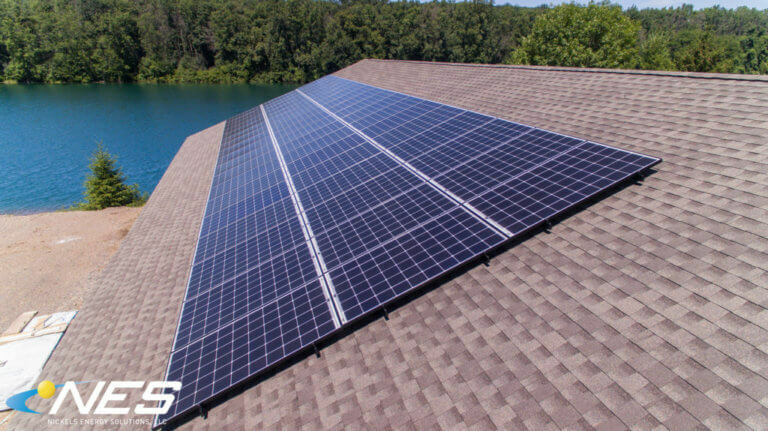 For this project, we were able to install the solar panels and interconnect the electrical wiring into the main load panel BEFORE the interior of the house was completed. This resulted in a less expensive electrical interconnection, plus it looks much better to have the wires concealed within the home. Additionally, this home uses Geothermal heat. We worked closely with the Geothermal installer (NP Environmental) to estimate how much electric usage would come from the Geothermal system. We love being involved in the planning process and helping our customer find the best solution possible for his or her solar installation.